Goal: A fast website is crucial these days. If you use WordPress, here’s an awesome guide to speed up WordPress by WordPress Specialists wpmudev.org. Fact: web performance impacts conversion rates. In addition to all the direct benefits, it is a well-known fact that page speed has a big impact on your SEO. Google has been intentionally hazy on the specifics, but someresearch sheds light on possible correlations. One thing’s for sure: better speed = higher ranking in Google’s eyes. PHP7 is expected to be released in October this year. Content management systems like WordPress are generally slower than static HTML websites. 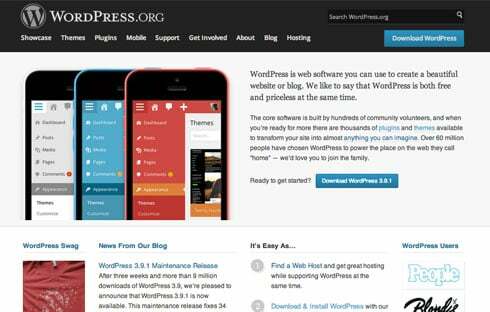 There are plenty of free themes and plugins at WordPress.org – just don’t install too many! Choosing a decent web host can help speed up your site. The Pingdom Website Speed Test provides information on aspects of your site that need speed improvement. To decrease you posts per page go to the reading settings in WordPress and lower it to 8 or 6. Plugins not only increase your requests but could cause all sorts of other issues like memory, or even security leaks. A great plugin called P3 (Plugin Performance Profiler)can help you identify the most problematic culprits. Theme Check offers a simple and easy way to test your theme for all the latest WordPress standards and practices. You can also deactivate anything you rarely use. I often use tools likeThumbnail Regenerator, Theme Check, or indeed P3. While these are invaluable when in use, I need each about once a month. When not using them I disable them to make sure they have absolutely zero performance impact. Amazon CloudFront is a popular CDN. If you’d like to put this into practice read our roundup on top CDN services to help you get started. Many – such as Amazon Cloudfront – have WordPress integration plugins which means you can set & forget. The next time someone loads the site the cache would load the HTML from memory, instead of getting the server to process it. This may not be much for an example as simple as this but for an average site this could shave seconds off the loading time. Check out our post The Top 3 WordPress Caching Plugins Compared and Choosing the Best One for Your Site to find out more about caching. That said, in my experience if you use only the basic settings you will achieve at least 80% of the maximum speed gains so it’s worth getting started even if you’re a relative newbie. We’ve already talked about using less images, let’s turn our attention to those you actually do have to use. Compressing images could make them smaller by 30% – 80% without any noticeable difference. WP Smush Pro is our premium smushing plugin. One of the best tools to use is of course our very own WP Smush Pro, which is used by over 200,000 WordPress installations. You can also use tools such as Photoshop when actually saving the image. There’s also for OS X to mass-optimize images or you can use the popular RIOT on Windows. This can be another potentially huge speed gain. Gzip compression compresses various assets before sending them to your browser for interpretation. This is something that needs to be set up on your server. Take a look at this GTmetrix articlefor a quick tutorial on how to make this happen. My very short, oversimplified guide is the following: do not use shared hostingunless you absolutely have to, or you have a lot of sites you don’t really use at all. These cost around $4/month and that’s about what you get. Unreliable service prone to going down due to others overusing resources. Pagely took out top honors in our 2013 web hosting review series. Stay tuned for our next series, due out soon. Domain monitoring services like Deez.io, Pingdom and others can automatically test your site regularly and automatically. Another powerful tool you have at your disposal is sprites. Sprites areconcatenated images. Instead of loading all your social icons separately you can combine them into a single image and use that image as the background, positioning it just right so that only the are you need is visible. Twitter uses sprites, as though many, many other large websites due to their request-friendly properties. I also use Gulp for this, but there are other build tools like Grunt and web based tools for specific tasks like linting, image optimization, minification and so on. If you’re not sure about something, the WordPress.org Codex is your friend.